The country used to be under Danish rule, and only gained independence in 1948; some of the numerous subarctic islands still fall under Danish responsibility. In truth, Torshavn is a small city; only around twenty thousand people live here. 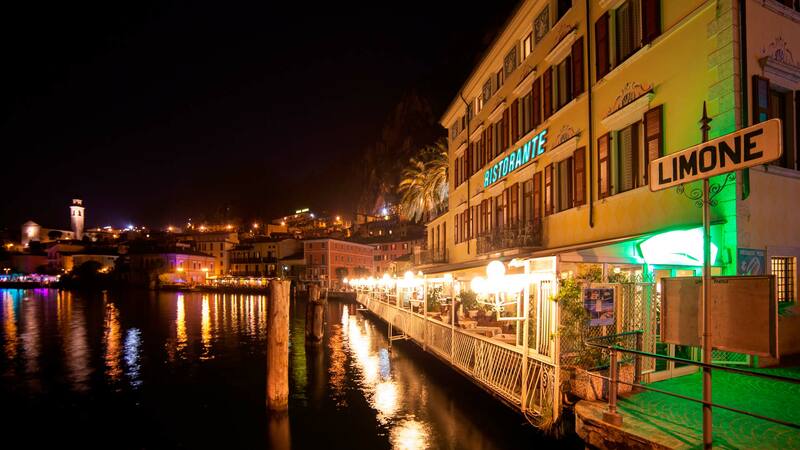 It has often been said that quality is better than quantity, and this saying definitely applies to this charming city. 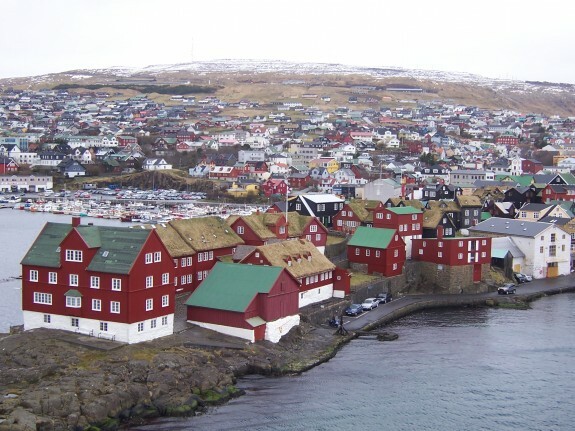 Torshavn is situated on the largest island of the archipelago of Faroe Islands, Streymoy. The capital is surrounded by sea, making it a popular fishing harbor. The climate of the city is uncommon as it rarely goes below zero, and even in winter temperatures stay around 6°C. An interesting fact is that in summer temperatures don’t rise a great deal, staying around 10°C. Overall, this simplifies life in Torshavn; clothing needs don’t vary much, and people have gotten use to having about the same weather all year long. The people in Torshavn especially love colors; each house is painted a little differently using unusual color which makes the cityscape strangely lovely. Even the boats are all distinctly colored to fit the tastes of the inhabitants, where traditions and culture are of the utmost importance. Festivals are large cultural events in Torshavn, such as Olavsoka, the 28th and 29th of July, when the whole population dresses up and comes out to enjoy rowing competitions, art exhibits, folk dancing, brass bands, and a big procession in the streets. The Nordic House of Torshavn is a cultural retreat all year long with lively concerts, theater plays, expositions and conferences. The nights in Torshavn are also active, as people here love to dance and spend time in bars and restaurants, far from the worries of the world, enjoying their peaceful haven. A Torshavn map will guide you to places of interest, which will no doubt include a local church, since over 80% of the population is Christian. Their unique, simple and colorful constructions are graceful with rare appeal, especially if you are accustomed to living in large, over-crowded cities and are attracted by the refreshing side of Torshavn. 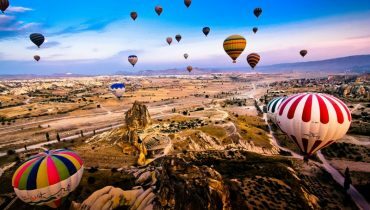 Flights to Torshavn and Sørvágur are available from certain countries of Europe such as Copenhagen, Reykjavik and other destinations where Atlantic Airways travel. The Vágar Airport, next to Sørvágur, directly accesses Torshavn by ferry from Denmark or Iceland, and it will be certainly be a trip in itself that you won’t easily forget. 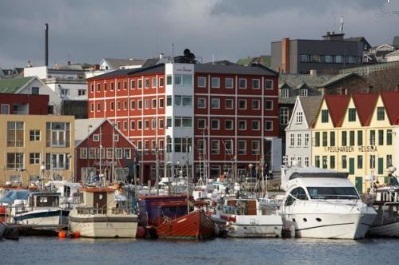 Torshavn hotels exist with affordable, as well as high, prices. True budget hotels in Torshavn don’t exist, but reasonable hotels such as the Hotel Streym offer wonderful sea views and restful nights near the city center. Rates begin at $113. The only prestigious hotel in Torshavn is the 4-star Hafnia Hotel with beautifully decorated rooms in typical Torshavn manner; it is situated close to historical centers and attractions. It also proposes shuttles to and from the airport. Prices start at $141. Come and see this city of bright, picturesque houses, and if you notice a tree at a distance, look closer to be sure, because it might just be a house covered with the traditional grass rooftop. Visiting Torshavn is like taking a retreat away from the world of affairs and endless complications to a very unique world, one handed down from the Viking Age, possessing an irresistible allure, if you’ve never heard of it, you must try it.